Seller Motivated on this charming home in desirable Piper's Glen. 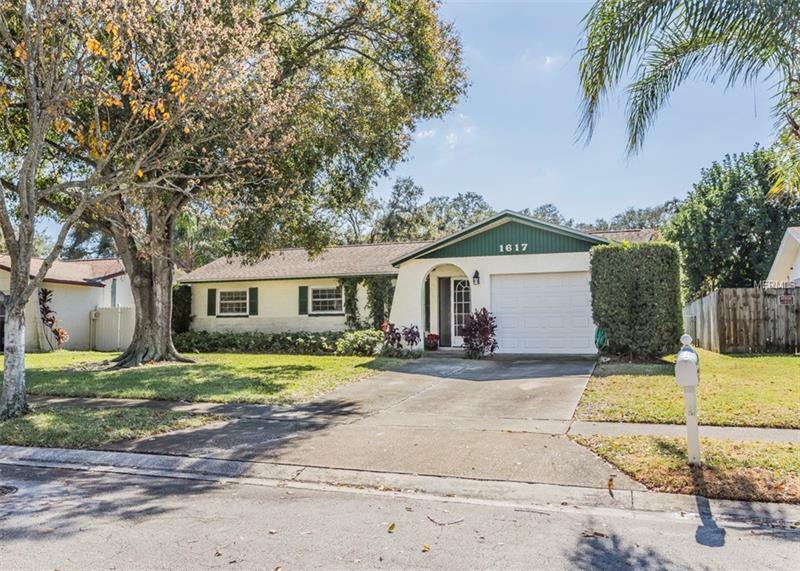 This 3 bedroom 2 bath home in Dunedin is great for that family. Walk in to your formal living room and the home opens up to the dining room and family room. The kitchen was recently updated and has newer stainless steel appliances. Warm up by the cozy wood burning fireplace in the spacious family room that has new sliding doors that lead out to your HUGE fenced back yard, plenty of room for a pool!! Master Bedroom has a newly renovated ensuite while guest bathroom also been updated and has a bathtub. This home also features new hurricane impact windows throughout as well as the garage door leading to the inside!! No flood required. ALL NEW CARPET just installed 2-9-19!! New breaker box just installed! Home also has 1 year pest maintenance warranty. Take a short walk and you will be at the large community pool which will definitely be a bonus in these hot Florida summer days and nights!! Great location, close to shopping, THE BEACHES, and so much more!! Come see it before it's gone!! All room sizes are approximate and buyer to verify.